In the early 1960s, André Dubois, Serge Grenier, Marc Laurendeau and Marcel Saint-Germain, friends during college at Collège Sainte-Marie and later at Université de Montréal, took great pleasure in preparing extracurricular sketches in which they poked fun at their teachers and classmates. Their student audience asked for encores. 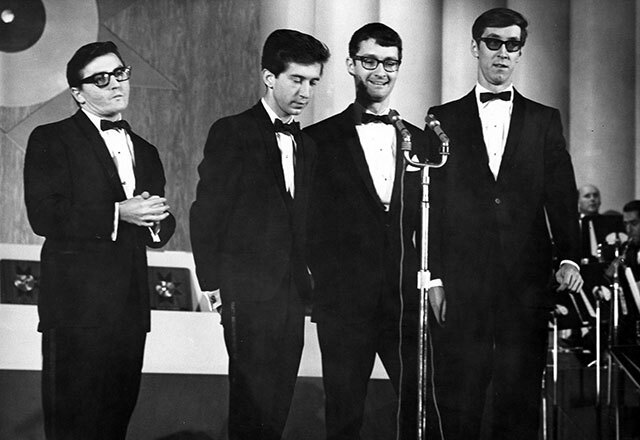 In 1962, under the name of Les Cyniques, they decided to make comedy their trade. Everywhere they went, they were a big hit. In 1965, they spent a month on stage at the Casa Loma cabaret in Montréal. Up to 25 000 fans attended their shows. From 1966 to 1972, they cut eight very successful albums. The Les Cyniques adventure ended in 1972. Their career, spanning ten years, caused much gnashing of teeth among public officials and politicians.